Ethernet service provider Optimum Lightpath has expanded service into Telxs Clifton, N.J., colocation and interconnection facility to serve key financial hotspots in New York City and Northern New Jersey. Telxs 24,000 square feet facility at 100 Delawanna Ave. in Clifton, located 11 miles outside of New York City, offers customers the ability to lease private cages and cabinets, with direct access to more than 400 carriers, business exchanges, and enterprises through a single cross-connection. This site is suited for financial services, enterprise, media and entertainment and cloud computing customers looking for a location outside of New York City to host their business continuity/disaster recovery, storage backup, or other networking applications. It also provides access to major financial exchange networks. Optimum Lightpaths latest connection is in addition to connections to Telx facilities at 111 8th Ave. in New York City and 300 Boulevard E. Weehawken in New Jersey. Optimum Lightpath has low latency routes between these Telx facilities for microsecond-level speeds particularly in demand within the financial services sector. Competition in the financial services sector has primarily become defined by speed and Optimum Lightpath continues to take steps to stay ahead of this need and ensure that its customers have the advantage they need to be successful every day, said Michael Sevret, vice president of sales for Optimum Lightpath, in a press statement. From our recently introduced low-latency and 40 gigabit optical transport services to our latest connection to Telxs state of the art Clifton facility, we are providing the tools needed to power the array of complex businesses in the financial services sector. Optimum Lightpath, a division of Cablevision Systems Corp., provides advanced Ethernet-based data, Internet, voice, video transport solutions and managed services to businesses across the New York metropolitan area. Its network includes more than 3,900 route miles, connecting more than 3,800 buildings. TelePacific’s Virtual Private LAN Service (VPLS) and Ethernet Private Line (EPL) services have both earned MEF CE 2.0 services certification. Equinix surveyed 1,000 IT decision-makers in 14 countries. In the third quarter of 2016, the data center colocation and wholesale market saw $28.9 billion in annualized revenue, with most (42 percent) generated in North America and 31 percent in Asia-Pacific. 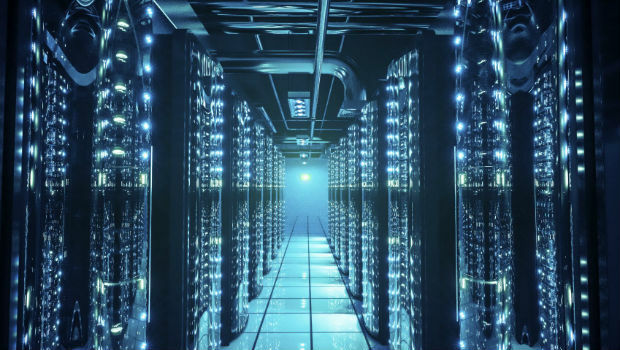 In the first half of 2015, CenturyLink completed data center expansion projects in six markets: Boston, London, Minneapolis-St. Paul, Phoenix, Seattle and Washington, D.C.